Light our Night – Today! February 3rd! 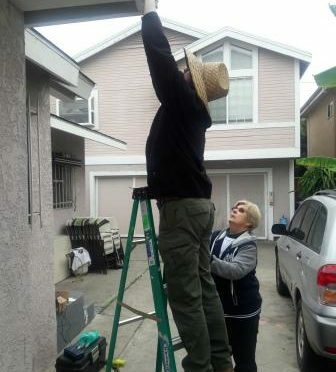 Rose Park Neighborhood Association (RPNA) and Rebuilding Together Long Beach (RTLB) are teaming up to install solar powered motion-detector lights around the Rose Park Neighborhood this Saturday, February 3rd from 9:30am to noon to help residents and business owners increase safety in their alleyways. Our group of volunteers include Long Beach Eastside Division Commander Erik Herzog, Long Beach Port Police Division Commander Liz Griffin, Communication Deputy from Council Member Jeannine Pearce’s Office Devin Ablard, and volunteers from RPNA and RTLB. If you see us out and about installing lights, please come by and say hello. This is a great opportunity to connect and chat with members of our great community!